Purse seining establishes a large wall of netting to encircle schools of fish. Fishermen pull the bottom of the netting closed—like a drawstring purse—to herd fish into the center. 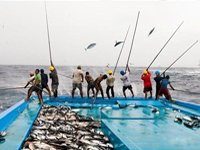 This method is used to catch schooling fish such as skipjack tuna. There are several types of purse seines and, depending on which is used, some can catch other animals. When combining purse-seiners with FADs usage, the amount of bycatch can be very high. Longlining employs a central fishing line that can range from one to 50 miles long; this line is strung with smaller lines of baited hooks, dangling at evenly spaced intervals. Longlines can be set near the surface to catch pelagic fish like bigeye and yellowfin tuna. Many lines, however, can hook sea turtles, sharks and seabirds that are also attracted to the bait. By sinking longlines deeper or using different hooks, fishermen can reduce the bycatch problem though. Pole and line fishermen use a fishing pole and bait to target a variety of fish, ranging from open ocean swimmers, like tuna, to bottom dwellers, like cod. Pole and line fishing is environmentally responsible and a good alternative to tuna longlining. 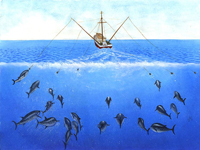 Unlike tuna longlines, which catch sharks, marine mammals, sea turtles and seabirds as bycatch, pole and line fishermen have very low bycatch rates. However, there is not enough tuna pole and line fishing nowadays to attend the demand. Large-scale trolling targets albacore for canning. Gear types other than the three listed above are responsible for about 13% of tuna catch in the WCPO. Large-scale trolling is an important part of this. It is carried out in the cool water to the south and north of the Pacific Islands region. Trolling in the south results in about 5,000 tonnes of albacore annually. 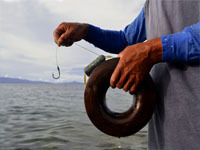 Handline fishing consists of using a single vertical fishing line with a barbed hook, which is usually hauled in by hand, making it a very low cost fishing method. 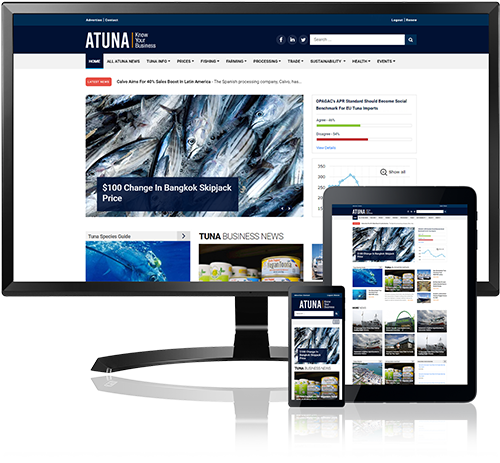 This makes it one of the oldest and most traditional artisanal tuna fishing methods in use. It is also a very selective technique which can be carried out from a small boat at open sea, to catch large bluefin, yellowfin and bigeye tuna, which live and swim at depth of about 200 meter, using weight to sink the line and bait attached. 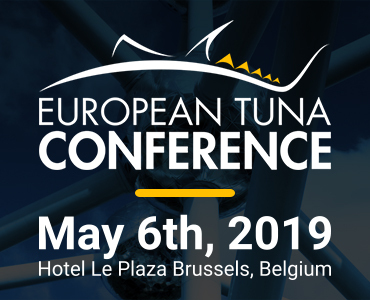 When used close to shore, fishers tends to target smaller tunas and other tuna-like species swimming near the surface. Fishing often evolves around FADs.